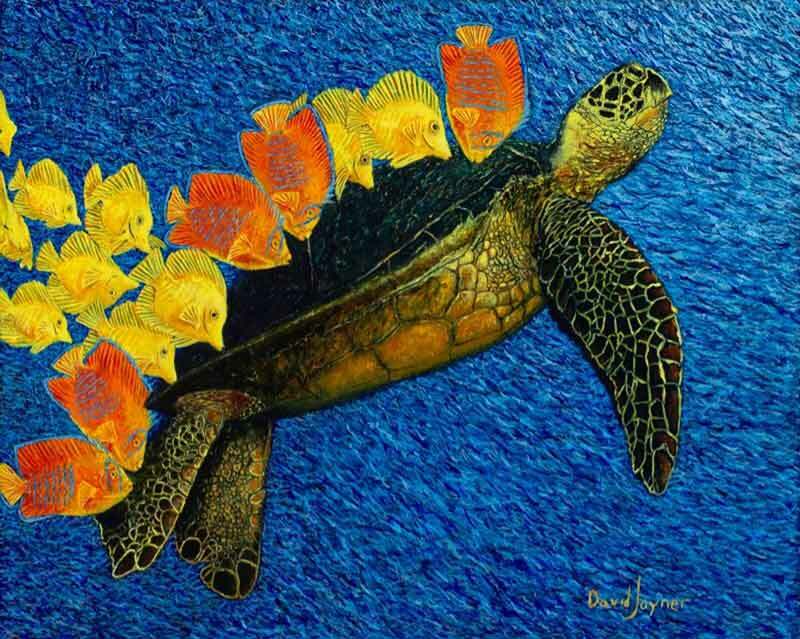 David Joyner likes his wildlife in bold, primary colors. 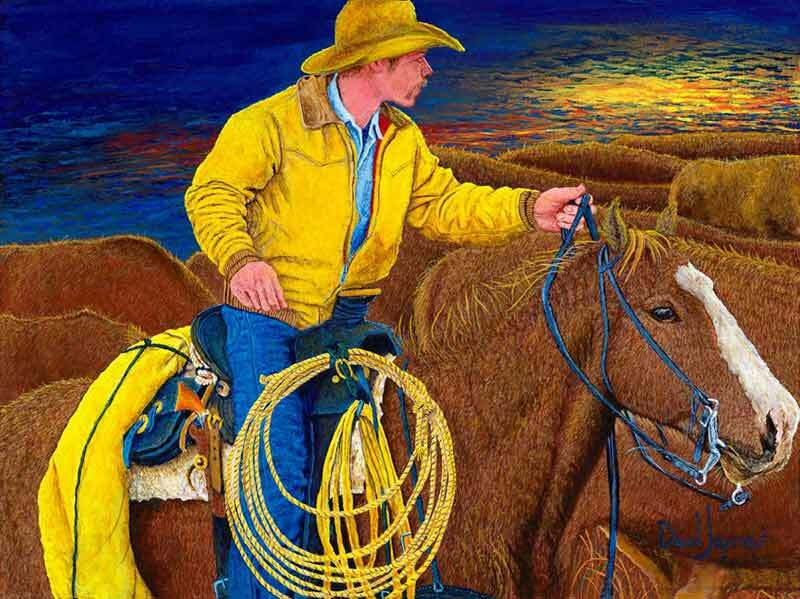 The vibrant reds, blues, and yellows of his textured acrylic paintings will jump right off the canvas and into your living room. 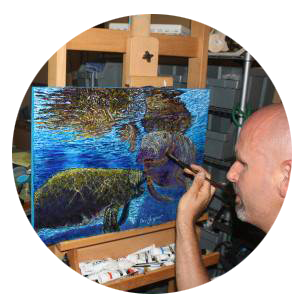 My artwork style can be desrcibed as realism with with a heavy dose of imagination. My favorite subject matter are animals and the natural habitats they live in. I will paint most anything that I am requested to paint, though. My favorite medium is acrylic paint, graphite and charcoal pencils. My process has evolved by using more complimentary colors beside each other. I love the contrast this brings to a painting. I have also learned that an animal with a messy hairdo (or furdo) can be more interesting than a perfect beauty salon look. My mother always encouraged me to create art as a little boy. I only drew with pencils until about 38 years of age, when I started painting. I love Victor Gabriel Gilbert’s paintings. One of my favorite paintings is Jehan-Georges Vibert’s Gulliver and The Lilliputions. His use of perspective is nearly perfect. Thomas Cole’s The Course of Empire: The Consumation of Empire is a good example of using reflections to create depth. 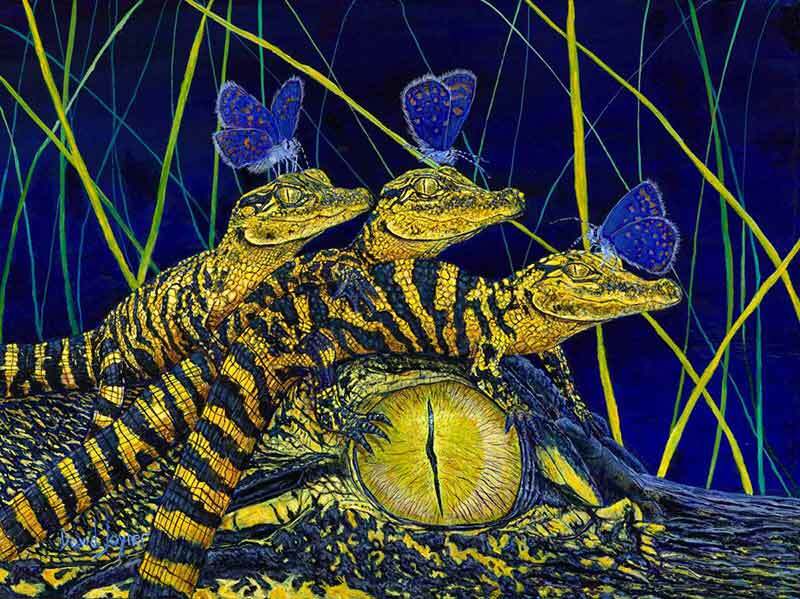 As for Wildlife art, I admire Carl Rungius and Carl Brenders.